One thing that is immensely pleasing about keeping houseplants is learning how to propagate them. It’s a fantastic way of making sad looking specimens bushier and more lively, and to gift plants to friends who have admired your collection and wish to add a little more greenery to their home. I learned how to propagate plants by starting with cacti and succulents, and quickly moved onto snipping vines, offshoots, and pups off all my other plants when I realised propagating desert plants requires a lot of patience. I’ve gifted these new plants to friends and family, and used them to make more of my favourite specimens. Propagation is such an enjoyable and rewarding pursuit. I wanted to share what I’ve learned about multiplying plants in the various ways you’re able to so you can join in on the fun. I’ve included the easiest and most common houseplants you can propagate; there are, of course, many more. 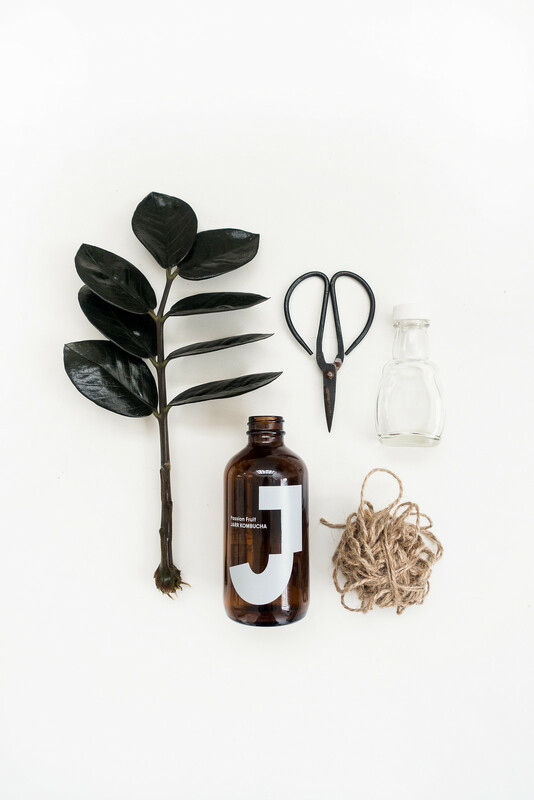 Make sure all your tools are clean, from your scissors or knife to containers, and always use fresh compost; never reuse compost from another plant’s container. Cuttings require a little extra care and attention. Find a space to keep them where they won’t be knocked over or forgotten about, and make sure water is replaced or topped up on an almost daily basis. Placing new cuttings in a mini hothouse or greenhouse and applying rooting hormone to your cuttings can help increase your success rate, although neither are necessary. I’ve found water propagation is usually faster and more successful than soil propagation although be careful not to damage the roots when you pot the new plants up. Don’t be put off if some of your attempts at propagation fail. Keep trying! The most common and arguably the easiest way to propagate your plants is to take cuttings, either from the stem, leaf, or offshoots. 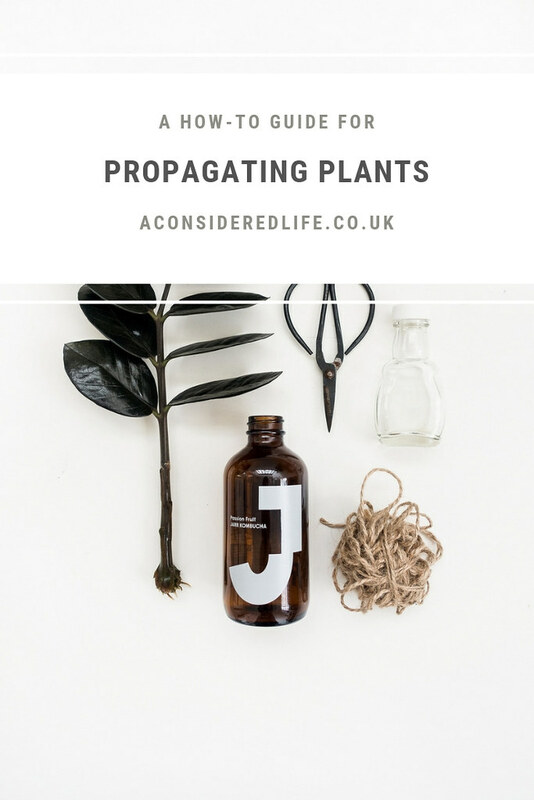 There are so many plants that are ideal candidates for this type of propagation, it would be impossible to list them all. Some of my favourites are: Monstera Adonsonii, Begonia Maculata Wightii, and Epipremnum Aureum N’Joy Pothos. Cacti and succulents might be slow to grow but are easy to propagate. You can slice or (gently) break off cacti pads, and take cuttings at the joints. Succulents can have their leaves plucked off. Leave your cuttings to dry out so they callus over, before moving to a tray of compost, which should be misted to be kept ever-so-slightly damp. Keep your cuttings in bright, indirect sunlight, and eventually you’ll see roots sprouting. Plants that produce pups, like spider plants and peperomias, are just as easy to propagate, even for beginners. Spider plant pups grow on runners and can be dealt with in a couple of ways. Either snip the pup off and stick it in some water or pin the runner down so the pup sits on top of damp compost. When new roots are growing well, pot up and you have a new plant. 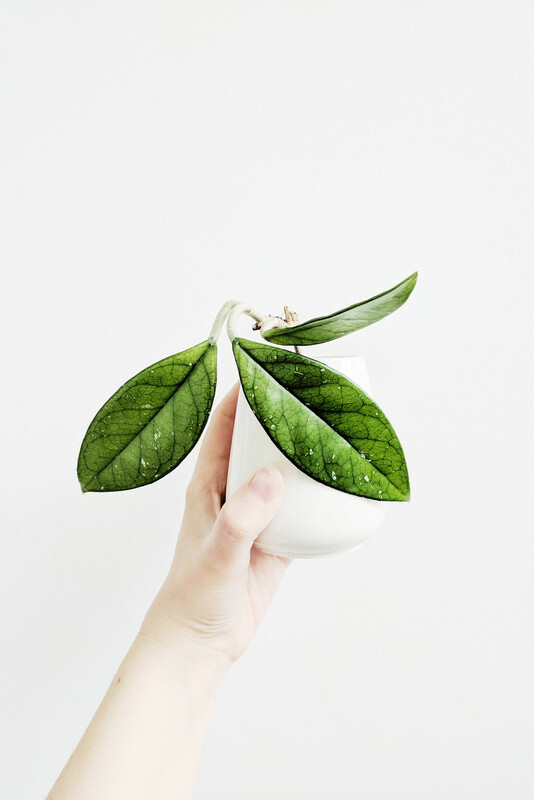 When dealing with peperomias, you can remove the mother plant from its pot and disentangle the pup’s roots so you can plant it up separately in a new pot. I prefer to slice the pup off the mother plant with sharp scissors and pop it in water until roots grow. This method avoids the mess of taking the mother plant entirely out of its planter. 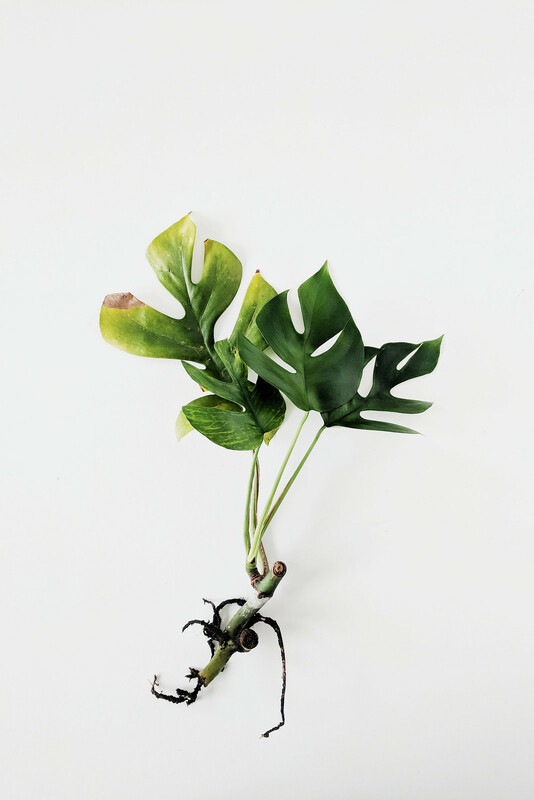 Vines and climbers, like Philodendrons and Pothos, can be snipped an inch or so before a node and propagated in water. Keep your cuttings in warm, bright conditions and, depending on the plant, you might see roots as quickly as a couple of days. I’ve had cuttings that have taken months to sprout roots, which are now fully grown plants - so persevere if you don’t see immediate results! You can even take stem cuttings from plants like the Begonia Maculata and Dieffenbachia. With a sharp blade, slice a stem cutting of about four inches and place in water. Place it in a warm, bright spot and keep the water topped up. Eventually roots will sprout and once they’re a couple of inches long, pot the new plant up. 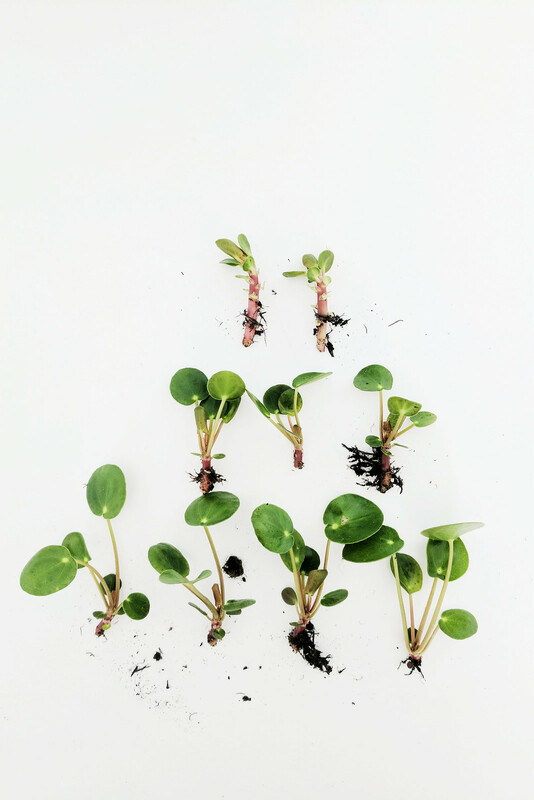 Some plants can’t be propagated from stem cuttings or offshoots, these plants require being separated from their mother plant. Plants such as Sansevieria, Bromeliad, and Aloe Vera all produce new plants in clumps or tufts. You’ll see these poking out of the soil close to the mother plant. You can even split plants that have grown too large, such as Syngoniums and Calatheas. Dividing plants is relatively easy, however, quite brutal. It requires removing the mother plant from its planter and, where the plants naturally divide, at nodes or between leaves. Cut down and through the roots with a sharp knife. It should be very obvious where to divide them since there will be a natural split between the stems. It’s important to make certain each divided piece has roots and leaves. Dividing them in this way will give you two or more plants you can pot separately. Make sure your plants are mature and robust before attempting this and it is quite a destructive way of propagating them. Do you have a question for me about propagating plants? Leave it in the comments and I'll help you out!